Young Professional Board at their first organized event, "Chess After Dark," hosted during the 2018 U.S. Championships. The Young Professionals Board is an enthusiastic group of young professionals who support the organization in a variety of ways: serving as hosts for Chess Campus events, planning unique events to introduce chess to new audiences, and providing valuable insights and feedback as the Chess Campus audience continues to grow. 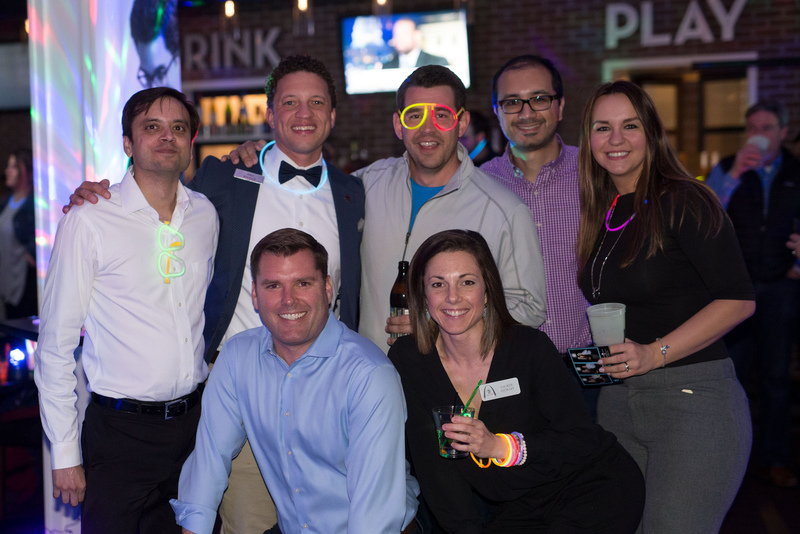 Members of the Young Professionals Board also serve as ambassadors on behalf of both organizations among their colleagues and through their professional affiliations. Participants ages 21 to 40 enjoy opportunities to meet other young professionals in Saint Louis and socialize at exclusive chess campus events. Young professionals interested in joining the board should complete an application that will be reviewed by the Membership Committee. Membership will be reviewed annually, but applications will be accepted on an ongoing basis. Those who are interested in joining the board may contact Lauren Stewart at lauren.stewart@worldchesshof.org or (314) 795-8829 or Alex Kerford at Alexander.Kerford@edwardjones.com or (314) 749-3845.